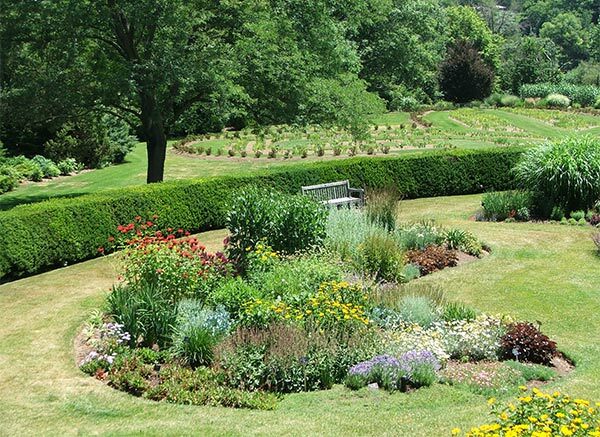 Hamilton's Royal Botanical Gardens (in Ontario, Canada) are spread over different sites, covering perennials, roses, trees, and rock plants. 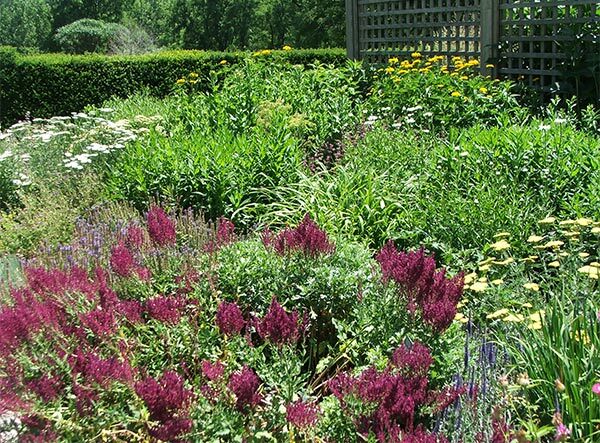 I went to the Laking Gardens to see the perennial plantings. The Laking Garden was the very last public garden I visited on my 2007 world trip, when my gardening thoughts had already turned to home. I wasn't expecting to be so uplifted and inspired. Wandering over the rail bridge to the gardens I was mentally planting a rugosa rose hedge and spreading truckloads of compost back home. I knew the Iris Garden would have finished flowering, and wasn't expecting to stay long. I wasn't in a perennial state of mind at all. What a wonderful surprise! Beautiful foliage plants and grasses, Flowers in vibrant colours - sunny yellows and the richest reds - and no sulking blue delphiniums in sight! My attitude has definitely changed, now that I've seen the most stunning set of perennial borders in the whole world. And who would have thought I'd find them in Ontario, Canada? English readers can rest assured - naturally I know what I'm talking about! I've peered at all the great English perennial borders (in books and on the TV, oops). I'm sorry to have to inform the well informed gardening public that Canada does it better! First, the great design. 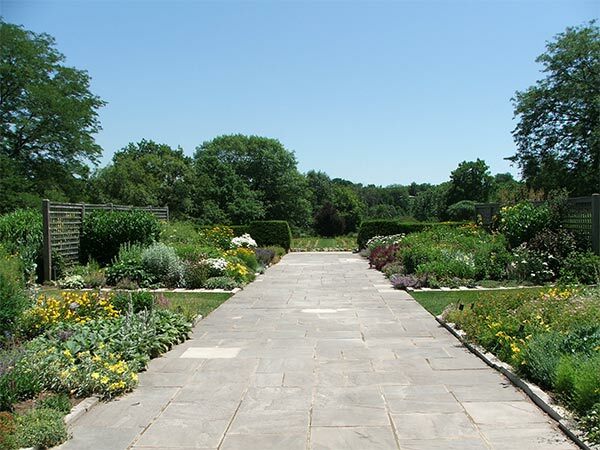 The Laking Gardens have a pair of traditional matching English-style borders, long and straight, flanked with airy trellises. All sorts of beautiful flowering plants are planted in drifts, and the effect is extremely natural and free. 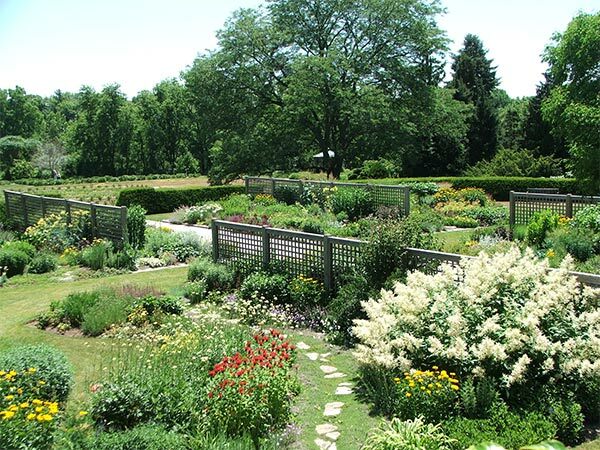 Gardens on the far sides of the fences are more daring, filled more with grasses and ecologically sensible plants that suit Ontario's conditions. Yippee for the ornamental grasses! The island and free-form beds feature newer perennial introductions. Just a little way away I found a huge island bed devoted to Monocots - mainly ornamental grasses. 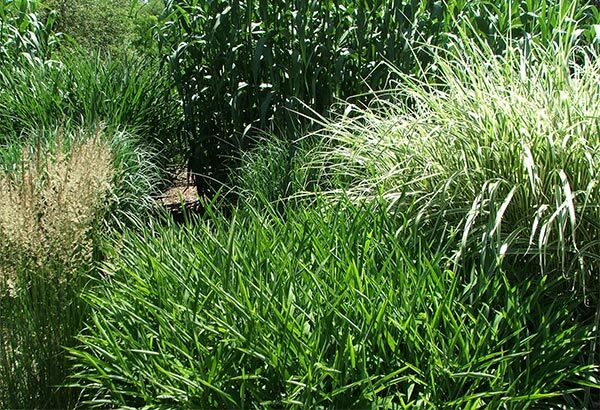 I saw several Miscanthus varieties, and some Calamagrostis - but not a New Zealand pampas grass nor a cordyline in sight! Phew! 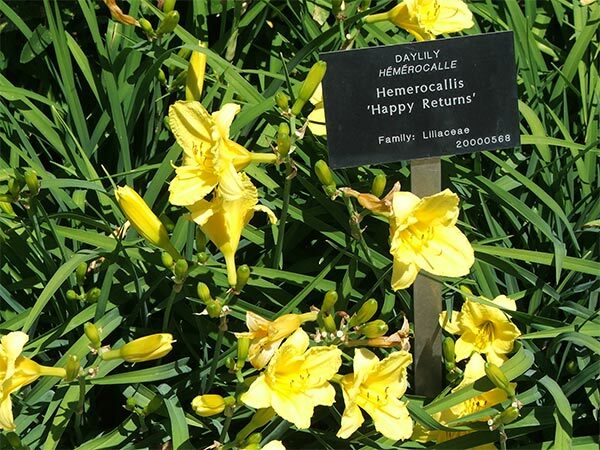 The daylily drifts were just delightful. In my home garden I get drifts of greenery with half a dozen flowers, whereas here the density of daylily blooms was stunning. 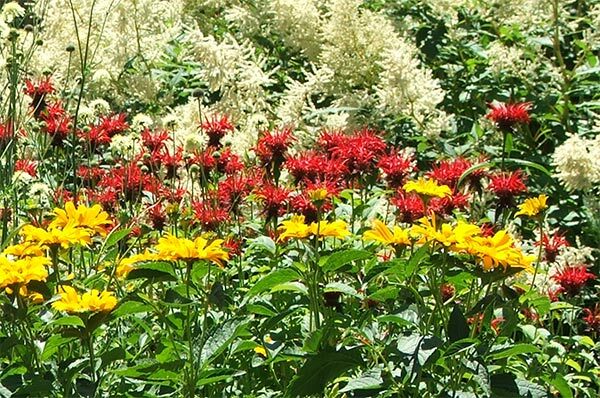 I also loved the profusion of daisy-flowered perennials - the yellow Rudbeckias, Heliopsis, Coreopsis, Black-eyed Susans - the pinks and apricots of the Echinaceas and Gazanias. Yippee for the daisy-shaped flower - a design of such basic beauty! 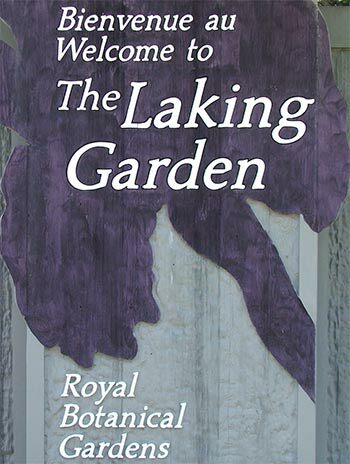 At other times of the year a visitor to the Laking Garden can enjoy the Iris Gardens, laid out artistically in the shape of a fleur-de-lis, hosta gardens, and an early Ontario cottage garden.